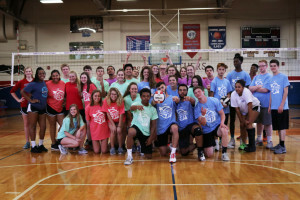 In an exciting afternoon of boys’ volleyball action in the Tom Farley Memorial Gymnasium on Monday, Bartlett crowned its 1st Peach Fuzz Volleyball Champion. The winning team consisted of Stewart Kerby, Patrick Wallace, Matthew Lewter, Brandon Milam, Jonathan Richardson, Peter Pham, and Casey Harless. 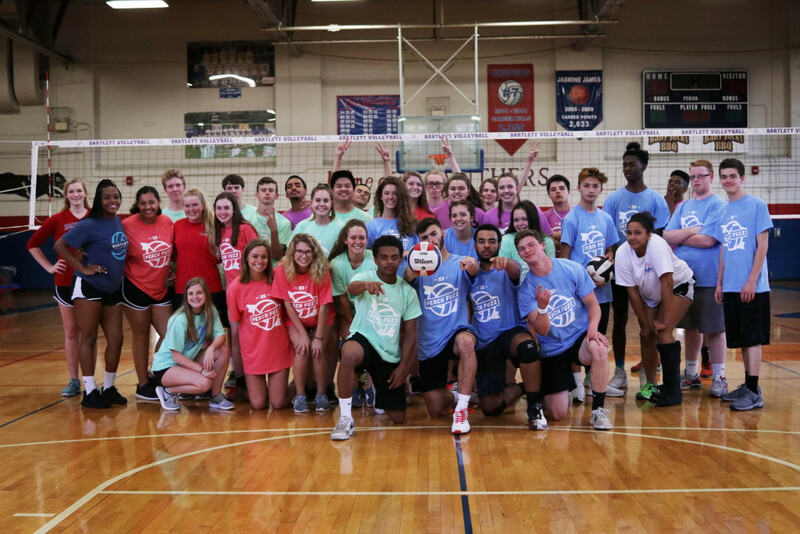 The boys were coached by Lady Panther Volleyball team members Audrey Wetzel and Conner Wilson. They will travel to Arlington on Thursday along with two all-stars from the other teams involved in tournament play, AJ Harvey and Sean Demerey, who were added to the Championship roster. Thursday’s match begins at 5p–join us at Arlington to cheer on your Panther Peach Fuzz Champions!